With so many phones and tablets not supplied with USB chargers these days, it’s possible that your current charger isn’t charging your phone or tablet as fast as it could be. Here’s how to charge your phone or tablet faster. First off, it’s important to understand how the tech works, since not all chargers are created equal. You’ve probably noticed that your phone or tablet will charge much slower when it’s connected to a PC or laptop‘s USB port than when it is to a mains power adaptor. And you may have noticed your phone will charge faster when connected to the charger that came with your tablet. That’s because different chargers have different power outputs. While a PC’s USB port is specified at 2.5W for USB 1.0 and 2.0 and 4.5W for USB 3.0 (so always use a USB 3.0 port in preference to USB 1.0 or 2.0 when available), a phone charger might be rated at 5W and a tablet charger 10W, for example. Nowadays there’s also Quick Charge, which we’ll come on to later. Can I use a phone charger with a tablet; can I use a tablet charger with a phone? You can use any USB charger with any phone or tablet, with the only caveat that if there isn’t sufficient power available you may find your device won’t charge – this is often the case with iPads, which will not charge from a PC’s standard USB port. Note that your device will draw only the power it requires. If you plug a 10W charger into a phone that accepts only 5W, it will still draw just 5W and won’t charge any faster than it would with a lower-specified charger. Several tips are often bandied around that claim to allow for faster charging. One of those is to remove its case. We’re not convinced by the success of this tip, although you could argue that by avoiding excessive heat build-up you will prolong the life of your device’s battery, allowing it to operate at maximum performance for longer. 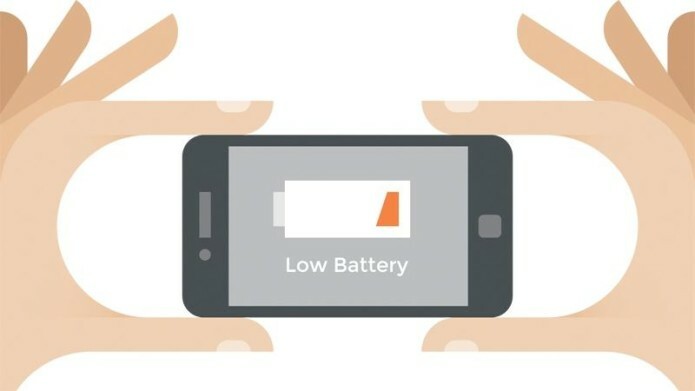 Another potentially useful tip, if you can bear to go offline for an hour or two, is to put your phone or tablet either into Flight mode or switch it off during charging. This may charge your device quicker because it isn’t busy doing any other tasks that would otherwise place a drain on the battery. This last tip is Apple-specific, and applies only to iDevices connected to an Apple Mac or MacBook’s USB port. Whereas Macs with USB 2.0 ports offer 2.5W of power, and those with USB 3.0 ports 4.5W of power, Apple claims that one of those USB 3.0 ports is able to offer 5.5W – which means using this will be comparable to using the 5W charger that came with youriPhone (but not the 10W charger that came with your iPad). Note that this is possible only when the iDevice is the first Apple device plugged into the computer. If you have an Apple wired keyboard or mouse you will need to remove these, hook up your iPhone or iPad, and then reconnect the keyboard and mouse. This won’t work if you’re running Windows through Boot Camp. For the most efficient charging from a PC’s USB port, make sure the computer is powered on and the screen is awake. If you’re using a laptop’s USB port, keep it plugged into the mains. 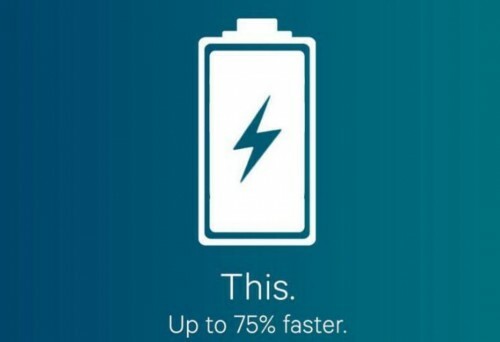 Qualcomm Quick Charge 2.0 is a next-gen fast-charging technology for phones and tablets running certain Snapdragon processors. In Qualcomm’s own lab tests, it found a Quick Charge 2.0-enabled device with a 3300mAh battery was able to reach 60 percent capacity in 30 minutes; using a standard 5W phone charger just 12 percent charge was achieved in the same amount of time. In order to use Qualcomm Quick Charging you must use an adaptor that has built-in support for it. That may be the charger that came with your device; we’ve also tried a couple of Quick Charge car chargers and a Quick Charge power bank. Devices that support Qualcomm Quick Charge 2.0 include the LG G4 and G Flex 2, HTC One M8, One M9 and Desire Eye, Nexus 6, Samsung Galaxy S6 and S6 Edge, Samsung Galaxy Note 4 and Note Edge, Sony Xperia Z3– and Z4-series phones and tablets, Asus Zenfone 2and the new Motorola Moto X. The alternative to faster charging is to provide batteries that last longer, and hydrogen could be a possible solution. We’ve already reviewed the Upp Fuel Cell power bank, but found it very expensive, big and impractical; now innovators are looking to place that tech inside phones. Of course, it’s unlikely you’ll be seeing this technology added to your iPhone any time soon: not only are hydrogen cells expensive to replace for consumers, but the battery requires a new slot to inject hydrogen fuel cartridges and you’ll need vents on the rear of the phone. That certainly doesn’t fit any leaked photos we’ve seen of the new iPhone 6s or iPhone 7.